We are a leading Exporter of medium voltage and high tension soft starter, istart digital soft starter, solcon drive start, digital electronic soft starters, electronic dc injection brakes and mv and ht soft starters from Mumbai, India. 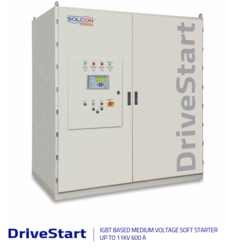 The HRVS-DN Soft Starter was developed to start motors in the most demanding applictions. for starting Medium Voltage Motors. bypass ensures excellent performance, all in a small footprint design. • Input voltage – Up to 11 kV 50/60Hz +10% -15%. 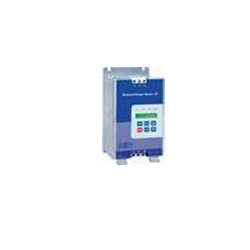 The Digital Electronic Soft Starters is a quality solution to all starting problems. These machines have an LED display and a keyboard for operating the functions. 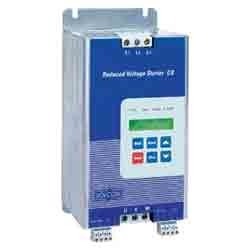 These Digital Electronic Soft Starters have an overload protection feature within it and are very easy to maintain. These products find their application in fans, water pumps, and compressors. These are manufactured using high quality raw materials and are available in the market at a very reasonable rate. We are one of the leading manufacturers and exporters of the Electronic DC Injection Brakes. These are produced using high quality raw materials. Being the market leaders, providing quality is our priority. Thus our products go through a number of quality checks in order to provide the customers with optimum satisfaction. These are used for fast and frictionless breaking of a motor. These are very user friendly and easy to maintain. These Electronic DC Injection Brakes find their application in grinders, vibrating motors, fans etc. We are the manufacturers of high quality MV and HT Soft Starters. We produce these using high quality raw materials, and they further go through a series of quality checks to provide high level of satisfaction to the clients. The products we produce have been installed at L&T, ONGC and several other major companies. 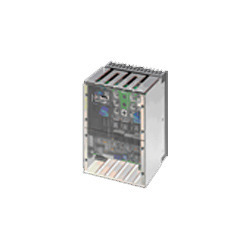 These starters reduce voltage fluctuation and energy consumption. These are very user friendly and easy to maintain. They find their application in fans, blowers, conveyors etc. 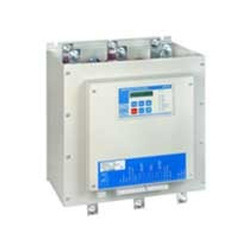 Our Thyristor Power Controller are manufactured from quality material, these are easily available at very reasonable price. The TPS Thyrister Power and Heater Controllers are advanced digital controllers for heating and power control applications.From 100VAC to 1KV, these heater controllers are well suited for all application which require resistive load control, voltage control, and current control. They are also with a key pad for full digital programming and flexibility to meet each and every client requirement. 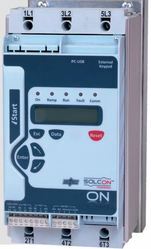 Looking for Digital Soft Starters ?